Then there's Canada’s History (formerly titled The Beaver) which has a history just of itself. Back in the 1990s, the Hudson's Bay Company donated their corporate archives and museum collection to public institutions for research. The Hudson's Bay Company History Foundation was formed and provides funding for the Canada's History magazine. 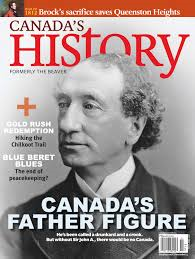 The latest issue includes a feature on the Ottawa Trek of the Great Depression, and takes a look at the author John Buchan, not only the author of The 39 Steps but also Governor-General to Canada. 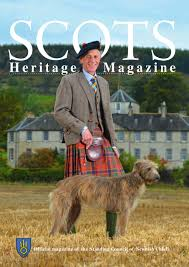 There are a couple of British history magazines - History Revealed, with lots of pictures and trivia, and the BBC History Magazine - apparently one of Britain's biggest selling history magazines. 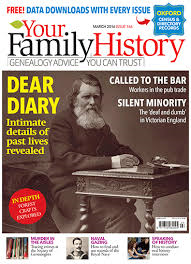 And of course, there's a family history title, Your Family History, a monthly UK genealogy magazine. In the August issue, there's a nice story on seaside resorts and their popularity back in the day as the "medical tourism industry," along with an article on the Lancashire famine. Lancashire had been the leading producer of cotton goods in the world but a blockade on cotton coming out of America in 1861, saw extreme poverty and starvation strike the area as jobs dried up. Twelve months later, an estimated half a million people were starving. You need your library membership to access Press Reader if you’re not in the library - but well worth signing up, Aucklanders, for that alone!